So one of the biggest events of the last couple of days is the launching of Android 4.4 KitKat. Judging from all the news, we are to believe that the new operating system is a vast improvement over the past one with both new and older but improved features. 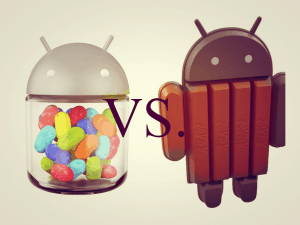 So why not make a comparison between the last two operating systems, KitKat and JellyBean and see what the real differences between them are? With KitKat, the notifications bar features a white color while in Android 4.3 it was blue. Apart from this, notifications icons have not suffered any changes. Some apps have had their icons changed ( see Youtube) while others are now native to Android 4.4. The clock has changed in terms of font and the hour is not displayed in bold anymore. The letters under the time are now bigger also. This confers a better aspect to it in our opinion but you can judge that for yourself. Also the alarm is now in the top left corner, moved from the bottom left one. 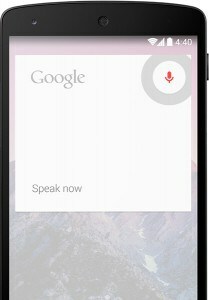 The navigation bar is now transparent. There is a new white theme for the Default Downloads app in Android 4.4 KitKat compared to the black one for Jelly Bean. Besides this, the status bar and navigation buttons will be hidden while you are playing a game or reading a book. 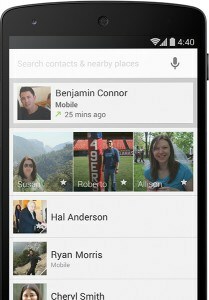 The phone app is better than it was in Jelly Bean and it arranges your contacts depending on how much you talk with them. It will also look for phone numbers of local businesses if you get a call from a number which is not in your contacts. Hangouts has received SMS integration and will also support GIFs as we have said in a previous article. So brace yourselves for all kinds of crazy animated stuff! Printing is better now and you will be able to use any printers connected to Google Cloud Print, HP ePrinters or any printers that have apps in the Google Play Store. “Users can discover available printers, change paper sizes, choose specific pages to print, and print almost any kind of document, image, or file,” according to the release notes of the operating system. There is also a new step detector app that detects and counts steps and whether you are walking or running. And last but not least, we have the screen recording capability which might prove very useful for all the people bent on making tutorials or other videos. 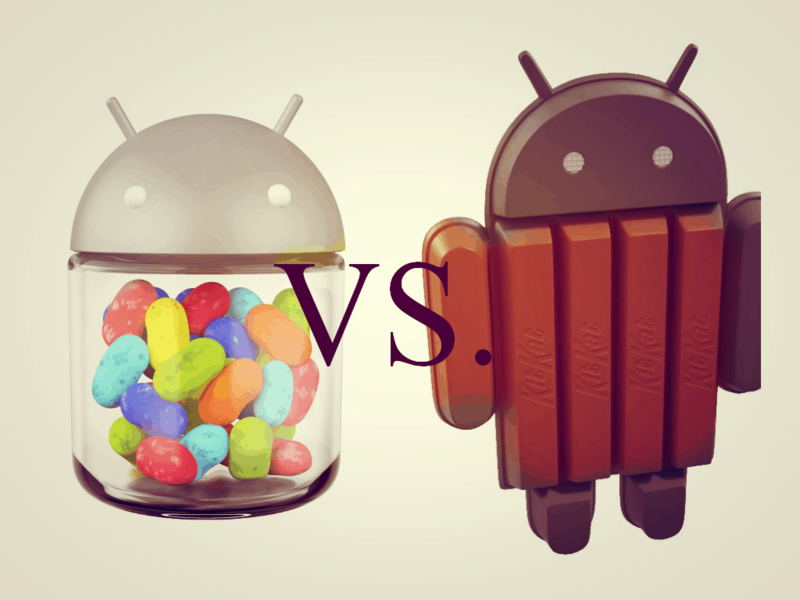 Overall we think KitKat is a remarkable OS with a lot of potential and something very different from Jelly Bean; different in a good way. As in a lot better way. But we would like to hear your opinions on this. What’s your take on KitKat?